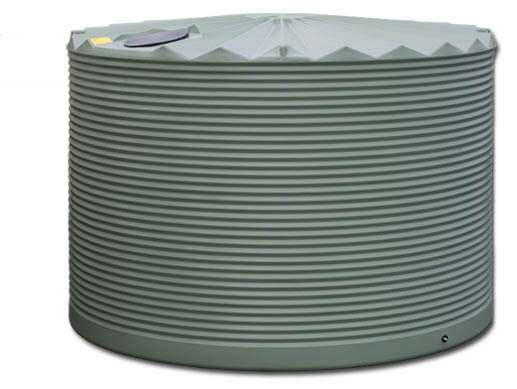 I am very much in waiting mode at present mainly for the new water-tank that we have ordered for Chez Hall. 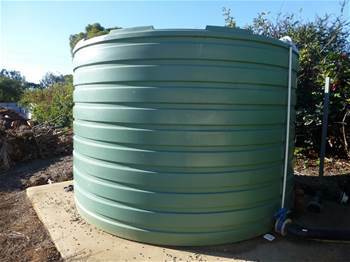 You see if you were to be building a new house in our shire you would be obliged to have at least 10,000 gallons of storage but because this place was built before such requirements came into force we have had to get by with much less than that, in fact our main house has just a 3000 gallon tank. and it has proved to be not enough on few occasions which has meant that we have had to buy water and at $160 a load it is not cheap (especially when that load of water is too much to put in our tank). To make sure that we don’t have to buy water so frequently (if at all) again We are buying a new plastic tank that will hold 5000 gallons its not cheap though its going to cost us nearly $2700 but that will be a very worthwhile investment. The site for it is to be the same spot that I had a metal tank previously. That metal tank was one I got for free some years ago and it just needed a few patches and a dab or two of silicone however those repairs did not make it last. It took a poor broken me a long time and quite a few cutting discs on the angle grinder to break it up in to manageable pieces for removal. Anyway the new tank arrives Monday or Tuesday next week and you know what we are experiencing the first rain that we have had for ages right now just before it arrives, so does anyone want to give me odds that having installed the new tank the Gods will ensure that we have a sustained period of dry weather? Its what I am expecting to be honest. I’ve been watching the minions of the left have conniptions about the proposed changes to the way that Job seekers are expected to show their willingness to find work. On one hand you have the Government suggesting that the Unemployed should be willing to make 40 job applications a month and on the other side you have people insisting that its too much to ask. I sort of think that both sides are right and wrong here. Its very clear that in some parts of the country there simply are not enough jobs for the people who need them. and no amount of badgering the unemployed to make more of an effort is going to make thee needed jobs magically appear. Frankly the mad drive to import every more people is not helping either because every new arrival is going to be competing for that scarce commodity,namely a job. Further the march of the technology that is so beloved by our Latte sipping friends is only going to make things worse. Take the example of your local supermarket. Have you noticed they all now have the self serve checkouts? well do you realize that those self serve checkouts only have one person watching say six units in use and to help customers make their purchases? That represents the loss of five jobs right there. Now while working in retail may not be that glamorous it is an honorable profession that has sustained many workers, (mainly women) in the quest to provide for their own and the sustenance of their families. This sort of automation is happening in every aspect of our society. Its in the your library, its in your bank its every where and the trend is accelerating. The trend simply means that no matter how many more people we have the machine of our economy needs fewer people to run it. Likewise I draw the attention to those cute little robot vacuum cleaners that are endlessly advertised on TV and ask you to consider how long will it be the case business will be using them to replace cleaners in their offices? On the other side of the ledger the obligation to make 40 approaches for those ever decreasing job opportunities will probably not be that hard to meet if a Job seeker digitizes a generic application letter and their resume that they send out to any business or potential job source entity. It does not even need to be customized for each instance that it is sent. Now I’m guessing (because I’m not personally playing this game) this on top of checking any jobs that are actually advertised would meet the obligation. How long till someone develops an app to do precisely that? However having made the obligation more onerous and punitive it hardly going to make the lives of the unemployed any easier. Worse yet it will turn every job seeker into something of a Spam merchant and if my friends in small business don’t just mark all of the extra job applications as “spiced ham” I would be very surprised indeed. The other aspect in play is the old “work for the dole” which I have some serious reservations about. Mainly those reservations concern the amount of time that individuals will be obliged to work each week and the effective hourly rate that they will be working for. Its just manifestly unfair that any work people are obliged to do should be anything less than the going rate for such work. On top of that just what work are these people going to be asked to do and who is going to manage organize and supervise such work? Further I have concerns about the possibility that participants may be subject to bullying by those who run any “work for the dole” schemes. Finally there is the issue of cost, these schemes will cost more to run than any potential savings in the welfare budget so will it really be about the savings? In conclusion though we can’t escape the fact that all of these proposals will require legislation to be made to happen and I just can’t see the current Senate passing many of these proposals which means that when the rubber hits the road what we will see will be somewhat diluted from what is currently being discussed. Sadly what neither it nor any alternative from Labor is going to address the clear structural issues that the march of technology is going to pose for humanity without that in the mix neither side of politics and certainly not the ordinary people are going to be winners. The Politics of this are pretty obvious though The Government is playing to its most hardline economic neoCon demographic who believe that welfare is just a waste of taxpayer’s money and that the poor or unemployed are just an inconvenience and generally a cohort of bludgers. The simple truth that conservatives like me recognize is that our welfare system is a necessary bulwark that ensures that we have a truly civil society and not one where the underclass is driven to a life of intrusive criminality to sustain the necessities of life Maintaining that bulwark at a cost that our economy can afford is the trick of it and on this score both sides of our politics play the “cruel to be kind” game (remember Gillard’s treatment of single parents?) Taking the longer view I am going to reserve my judgement on this whole thing until I see just how it comes out in the wash. But advocates for the elderly and disabled still have concerns about the new system. ‘‘The purpose of this is better security but for some people it will have the reverse effect,’’ Council on the Ageing Australia’s chief executive, Ian Yates, said. The council has had reports of bank staff advising elderly people with memory problems to carry a written record of their PIN. The president of Blind Citizens Australia, Greg Madson, said many older members had never navigated a terminal keypad. ‘‘We will be advocating for some sort of uniformity across the design of these [terminals] so that people who are vision impaired … [do] not have to struggle around the keyboard,’’ he said. The executive director of the Australian Retailers Association, Russell Zimmerman, said retailers were prepared for the switch and the majority welcomed it. I have long thought that it was just too easy to copy a signature on the back of a credit card, so much so that I have long had “Pin only” written on the back of my credit card. To be honest I don’t think that there will be a substantive number of may fellow codgers who have problems with this change. Heck I think that many of them will have , like yours truly, already embraced the Paywave tech which makes the use of even a pin number largely obsolete. Sometimes change is worthwhile but you won’t hear that said often from me. I have added a donation button the the blog, sadly It does not work if readers just wave their credit card over it ……. There is a lovely Aussie tradition of mates helping each other out on big projects and this film is an example of that tradition made manifest. My brother Peter has built himself a super new shed to keep his vintage cars in and today he organized the pouring of a concrete floor for about half of the shed ( the rest will be done in a few weeks time) after setting up the boxing laying the moisture barrier and steel reinforcing mesh he also arranged for a whole tribe of his mates to come out and help lay the slab. Fortunately his mate Charlie has done this sort of thing before so the end result was the beautiful floor that you see in my final shot. In keeping with another fine Aussie tradition after the work was done it was my job to cook everyone burgers and snags on the barbie and most importantly a few ales were shared to celebrate the end of a job well done. 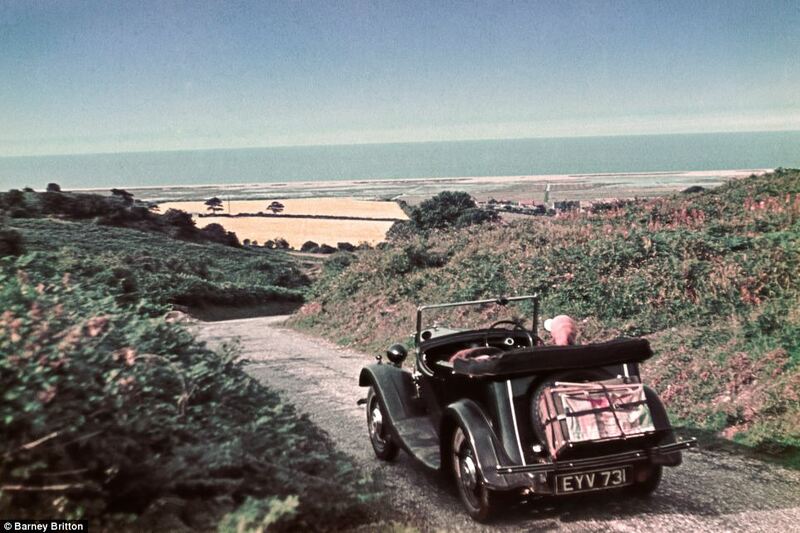 For a change of pace I wish to share this story of newly rediscovered colour pictures from the eve of WW2 in England. I just love this sort of thing in general but this in particular because the car featured is none other than a Morris Eight. Yesterday I visited the bowels of hell and it is actually a rather dull and dreary place that is far from being as glamorous as its public image would suggest. You see I had to go to Surfer’s Paradise so that my daughter could spend some time with her friend from Tasmania who was on holiday with her family there. The drive there and back was nice for the conversation with my daughter , terrible for my back ( I am likely to be bed bound all day today as a consequence of the journey) but as it has been many years since I have spent any time on the Gold-Coast I spent some of my time there at looking at just what sort of place it has become in that interregnum. The overwhelming impression one gets is of squalor with a veneer of tat and pretence. The footpaths are an unending patchwork of different surfaces and pose a great risk to anyone, like yours truly, who walks with a cane. Once you raise your eyes to the many people on the streets its hard to see much real joy among them. It seemed to me that most were trying very hard to “have fun” with a rather grim determination. To give my daughter the most time with her friend I spent most of my day reading ” Dexter is Delicious” I finished the book as it happens and in many ways it was a most apt read for the day because the Miami setting Of Jeff Lindsey’s novels are so very similar to the place were I was reading his clever prose. I also could not help but wonder about the lives of those people who serve the tourists because I did not see even one person in the shops and Cafes who looked even vaguely happy or even marginally cheerful . 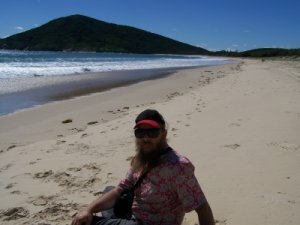 By my calculation it must be more than thirty years since I have been to Surfers Paradise and if I manage to go another thirty years before I again visit I will consider that to be too soon for this old codger. Now this is a proper holiday destination.